With the Easy Clocking Mobile Time & Attendance Solution you can easily manage employees on the go. Easy Clocking Cloud Time and Attendance Software helps you manage your workforce and track employee time and attendance in an easier, more efficient and affordable way. 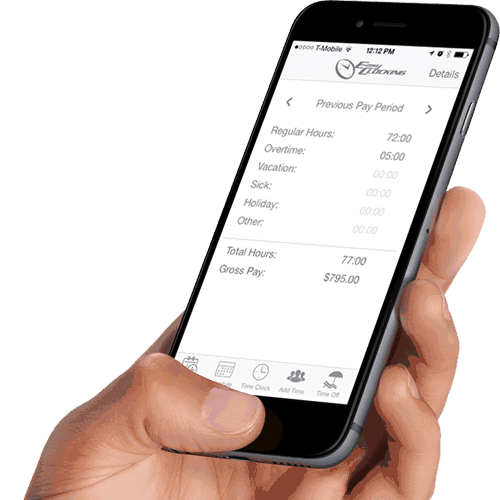 This software can integrate with many Payroll Providers. 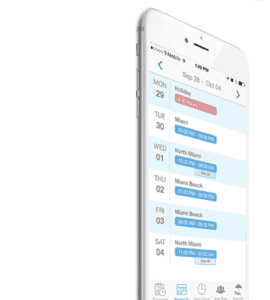 Eliminate schedule-related attendance excuses. Employee has 24/7 access to schedules and shift changes in real time. 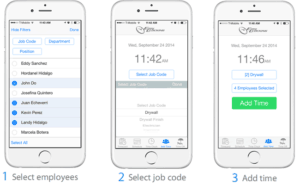 Employees can select their assigned job codes, and clock in on their own mobile device or supervisors can select the employee, the job code and the time for each employee from their mobile device. Easy Clocking Cloud Time and Attendance Software with GPS restriction restricts where employees can and cannot clock in and out from. By setting a geographical perimeter, employees are only allowed to clock in or out from the speciﬁed GPS location. 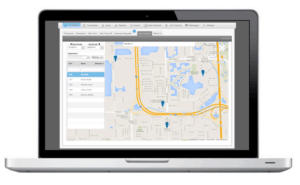 View a map of everyone who is clocked in at all your locations to better manage your projects and employees.